If you are looking for SEO, Tampa based and want to work with an affordable Tampa SEO company that understands your needs then look no further than Affordable SEO FL. Tampa SEO Company based Affordable SEO understand the local economy and local businesses; Affordable SEO have offices in Tampa and parent company IB systems have offices in Tampa so you won’t be stuck with a faceless online business that could be based anywhere in the world from a back bedroom. Tampa SEO company offer a full range of SEO and internet marketing services from one place including even SEO ready website design and content creation for your site: vital to ensure search engines take your website seriously.Our contact us page shows you where Tampa SEO Company is, even if you don’t feel the need to visit us it helps to know where we are in case anything was to go wrong. 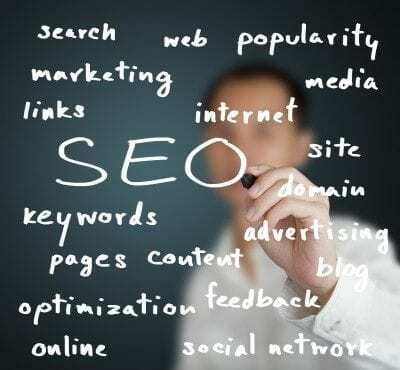 Affordable SEO though are always keen to work with small businesses on a long-term basis. SEO doesn’t work overnight unfortunately and to get the most out of it you have to work on it. At Affordable SEO we won’t promise you sudden results and then disappear when nothing happens, this is why we offer businesses in Tampa SEO packages that are for a minimum of twelve months. Our packages at a range of prices to suit your budget mean you can spread the cost of SEO work, some companies will do a year’s worth of work up front and charge you for it up front but this is ineffective. By spreading SEO work across a year the biggest effect is that Google and other search engines see that your website is regularly changing and regularly updated which is an important ranking factor. Also for affordable small business SEO it is important to react as we see the effects of SEO, which isn’t an exact science. We can predict fairly well what rankings we can get for keywords but then other factors may come into play, we can then react and change keywords or put more focus on to certain words and phrases. With Analytics as well we can look at which keywords are most effective when traffic actually gets to your site and react. It may be that some keywords are bringing in visitors who never seem to buy while others have a high conversion rate: we can therefore change our focus on keywords for the next month. What is important is that you as a small business are getting a service that actually makes you sales and money and doesn’t just send high volumes of traffic to your site, it is very easy for a Tampa SEO company to promise you high levels of traffic, we don’t do this what we offer is relevant traffic that will convert to sales, inquiries or whatever you tell us is your most wanted response from a website visitor. Please visit out customer testimonials page to see some of the businesses we have worked with from Tampa, SEO and website customers, some of whom you may know of as local businesses.